Vodka. Connecting people. Since the Middle Ages. Believe it or not, the word vodka comes from the Slavic voda, which meant water, but was used as a diminutive, as in little water. We don’t need to tell you where this drink originated. It’s still those countries who drink it the most. They’re called the vodka belt countries. Vodka is produced through the distillation of grains, with some even made from potatoes, molasses, soy beans or rice as well. The minimum alcohol content one drink should have to be called vodka is 40% ABV in the US, and 37.5% in Europe. Today, vodka it’s spread all over the world, and though traditionally it’s drank neat, it’s often used in cocktails or other mixed drinks, such as Cosmopolitan, Vodka martini, Screwdriver, Vodka tonic, Black or White Russian or Bloody Mary. This drink is widely spread and very popular nowadays, so you can expect that the quality varies a lot, from the most inexpensive to the most exquisite. 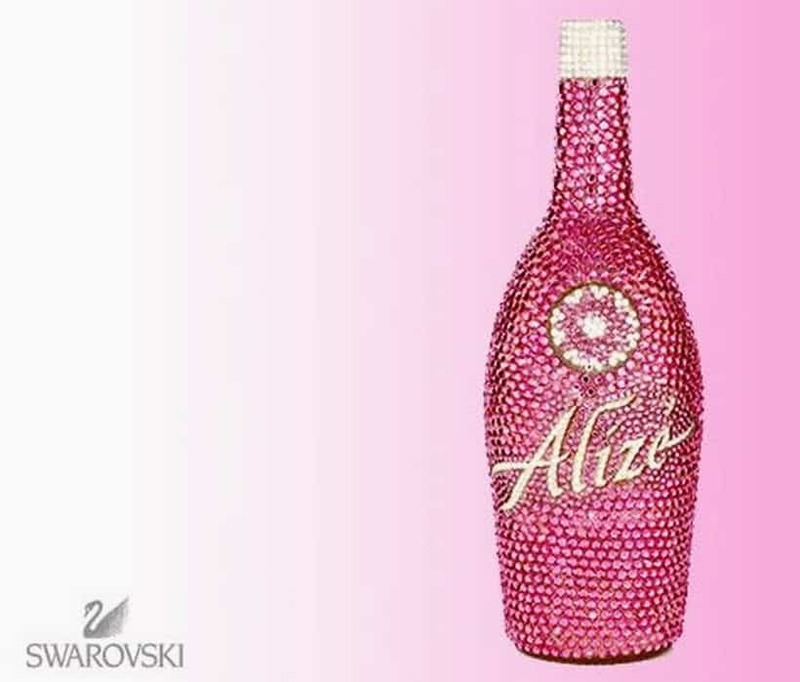 The Swarovski Studded Alize was created in celebration of Valentine’s Day in 2007, to be offered as the perfect gift for that occasion. It’s made as a mixture of French Vodka, cognac and several fruits such as strawberries, lychee and passion fruit as well as roses to stir the senses and prepare them for that special night on Valentine’s. The bottle itself looks exquisite, decorated with Swarovski crystals, and the price proves that as well. 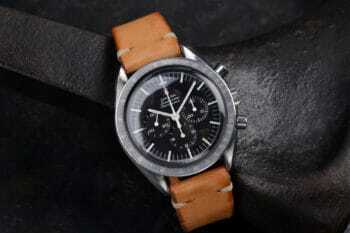 You’d have to pay at least $2,000 to get your hands on one of these rarities today. The Imperial Collection Super Premium Vodka is a royal presence with a carafe and glasses made of Venetian glass with refined gilding produced in the same manner since the 12th century. 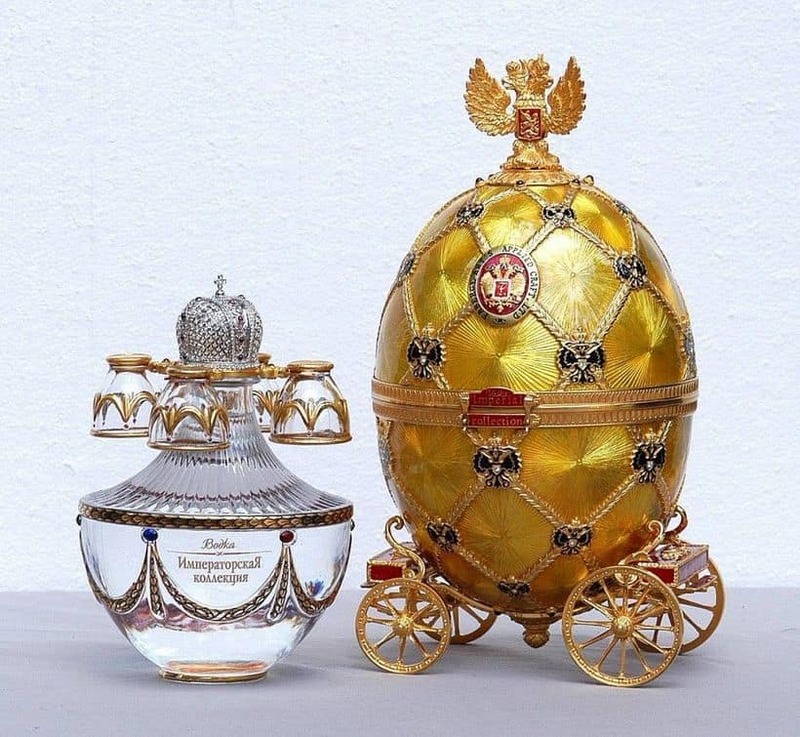 The handcrafted Faberge egg on top of the carafe and the the eagle on the cap speak of that royal presence as well. The drink itself was distilled from selected grains and went through multiple refinement processes after which it was filtered to add that smoothness and brilliance in the end product. The price for a bottle of this impressive drink it’s a good $2,400. As we were saying, vodka comes from water. 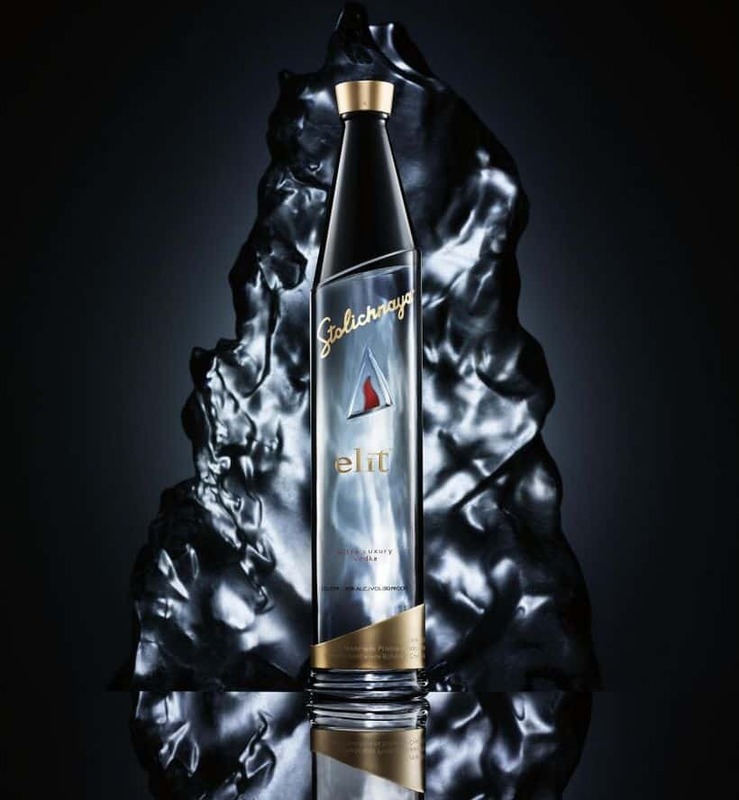 But this one, the Stoli Elit: Himalayan Edition comes with pure water from the underground reservoirs of the Himalayas in its mixture. The water was combined with winter wheat from Russia in the crafting process to give birth to this special drink. The bottle is made from the finest hand-blown Bohemian glass that Czech Republic had to offer and sealed with a gold-plated decorative ice pick. Each bottle is individually numbered and comes with a hand-made walnut chest adorned with the elit logo and gold closure. 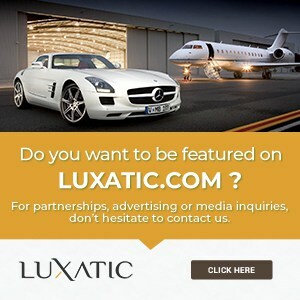 With such a delivery and its rare ingredients, the price of $3,000 per bottle should sound normal. The Iordanov Vodka is made with the highest quality water from the town of Koblenz, situated on the rivers Rhine and Moselle in Germany. It’s a premium vodka, made in a slow process with a high accent on quality. As the producers say, this is not a vodka to be rushed. It’s to be savoured and enjoyed. The bottle was hand-designed and comes adorned with no less than 8,300 Swarovski crystals. No wonder it was named the Decadence Edition. The price for one bottle goes as high as $4,353. Released in 2008 for the most exclusive nightclubs around the world, the OVAL Swarovski Crystal Vodka is a high-end vodka made to attract looks. 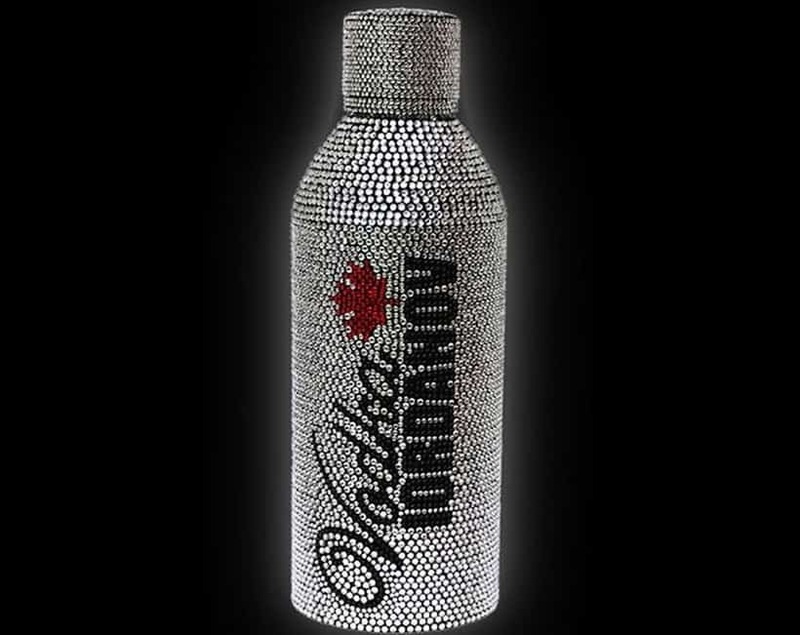 The bottle boasts over 7,000 Swarovski crystals and speaks of luxury and elegance. This vodka is available in limited edition only for an outrageous $6,922 per bottle. 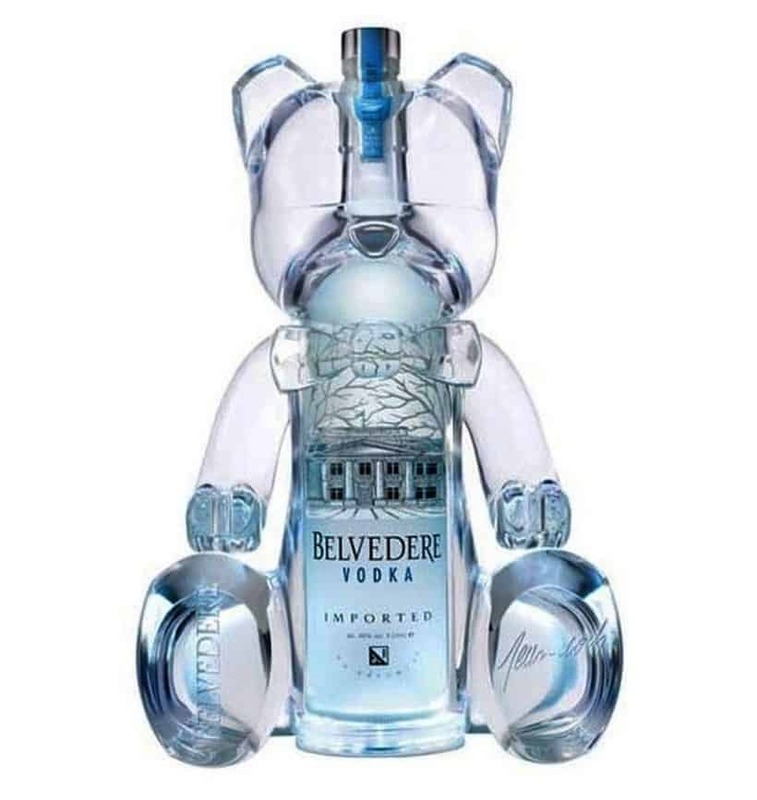 Designed by Jean-Roch in collaboration with Belvedere for the Cannes Film Festival in France, to be offered in the VIP Rooms of the festival in the cities of Cannes, St. Tropez and Paris, the Belver Bears Belvedere Vodka is a limited edition exclusive vodka. The bottle was created in the shell form of a teddy bear made from clear plexiglas and back-lit with a bright light. 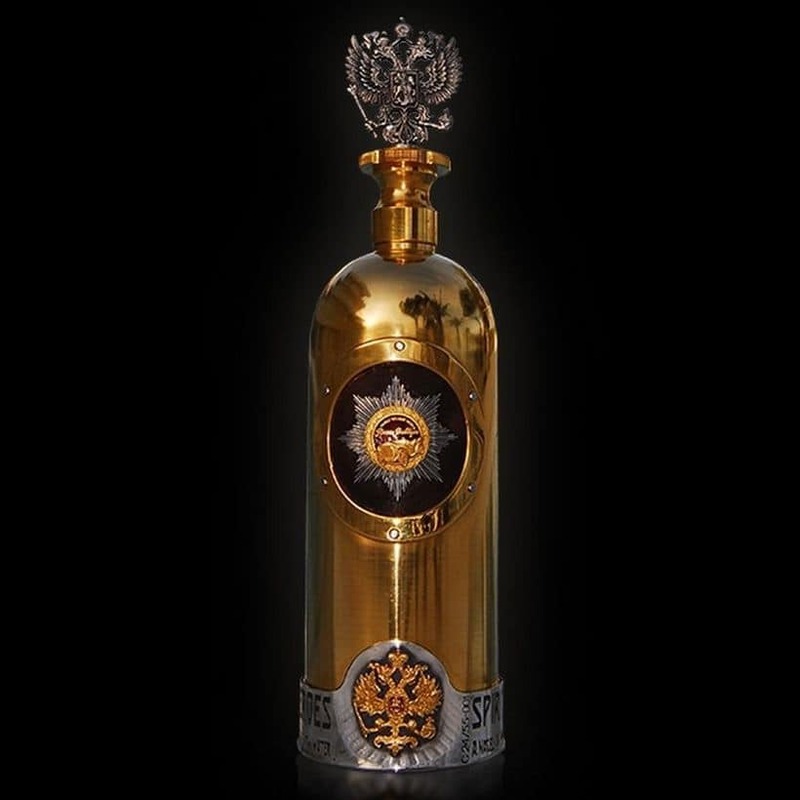 The price for a bottle of this now rare vodka reached a jaw-dropping $7,240. Good luck finding one. 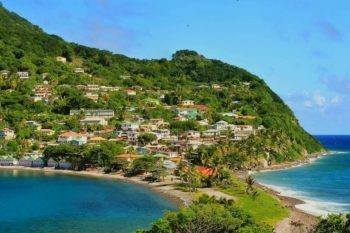 Produced by the Russian car manufacturer Russo-Baltique “to woo Russian royalty, tycoons and wealthy aficionados worldwide”, the Old Russo-Baltique Vodka tells a story of past ages, classic cars and good, proper aged drinks. The bottle recreates some of the design elements of the old classic Russo-Balt automobiles, offering different packages. 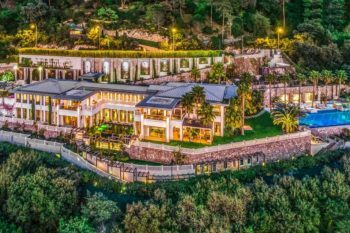 If you thought that the previous vodkas on our list are expensive, hold you breath because this one jumps into the super expensive category with a whooping price of $740,000, a price that seems to justify the age of this vodka, hence the old addition to the name. When first released, it was the most expensive vodka in the world. Right now, it stands at number three. The DIVA Premium Vodka is made with spring water filtered through ice. The distillation process is a meticulous one, because the triple refined alcohol is finished after being poured through precious stones. Some precious stones are added in the bottle as well, and to make it even more exquisite, they also added crushed diamond sand and birch charcoal. A bottle of DIVA Premium Vodka costs $1 million, though if you don’t care about the luxurious bottle, you could have the same vodka for a price tag of $3,700. 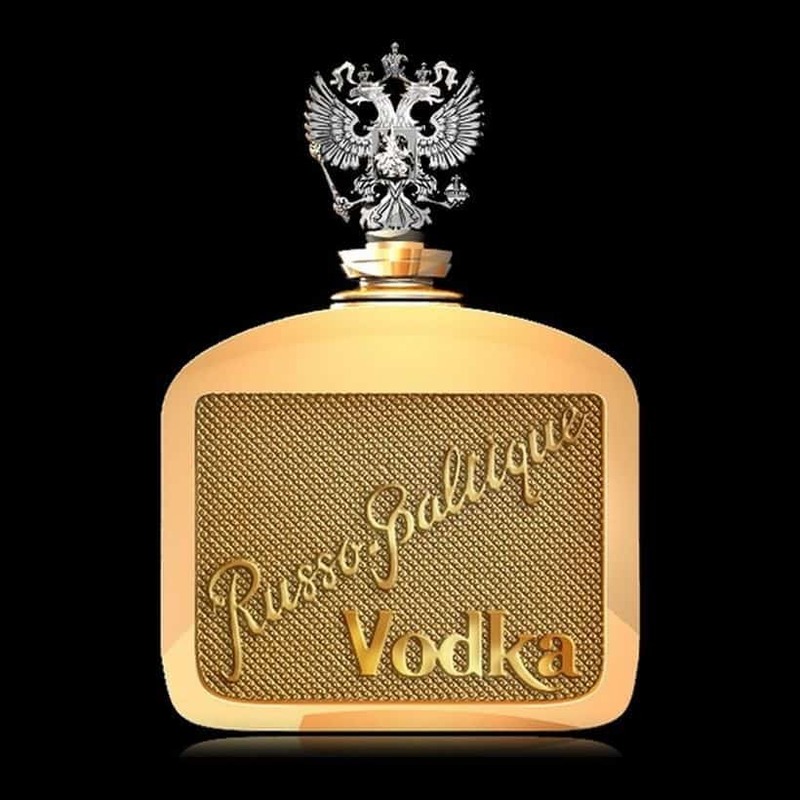 Another addition from the Russian car manufacturer Russo-Baltique, the New Russo-Baltique Vodka makes a difference not through the vodka itself but the packaging. 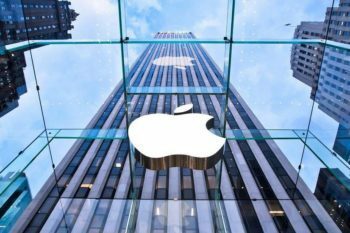 It comes in a flask made of bulletproof glass and designed as a replica of the radiator guard that was used in the Russo-Baltique cars out of gold coins minted in the period between 1908 and 1912, when the company created their first car. The cap of the flask is made of gold and boasts a replica of the Russian Imperial Eagle adorned with diamonds. The price for such a bottle of vodka is an unbelievable $1.3 million. 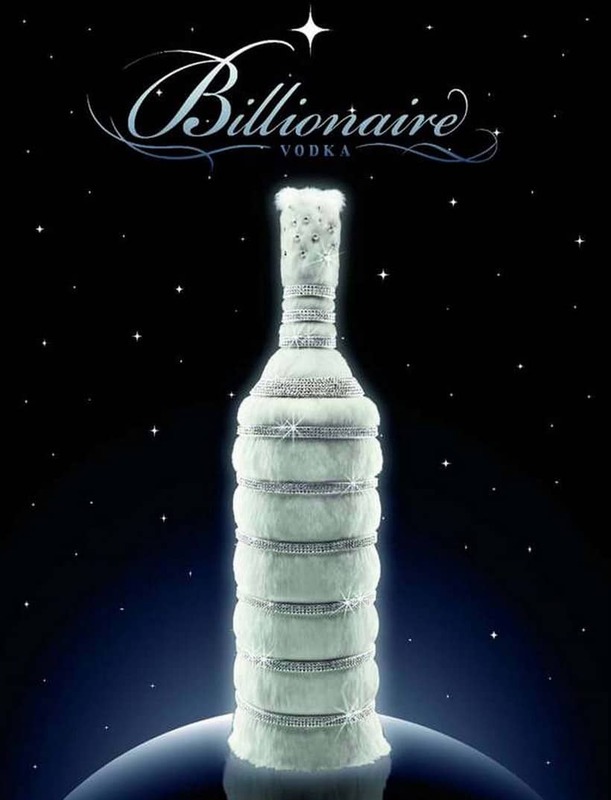 The Billionaire Vodka, as the name says, it’s the most expensive vodka one could buy right now, with a motto that states “it’s good to be the king”. To create the best and smoothest experiences, the vodka is run through diamonds to remove impurities. 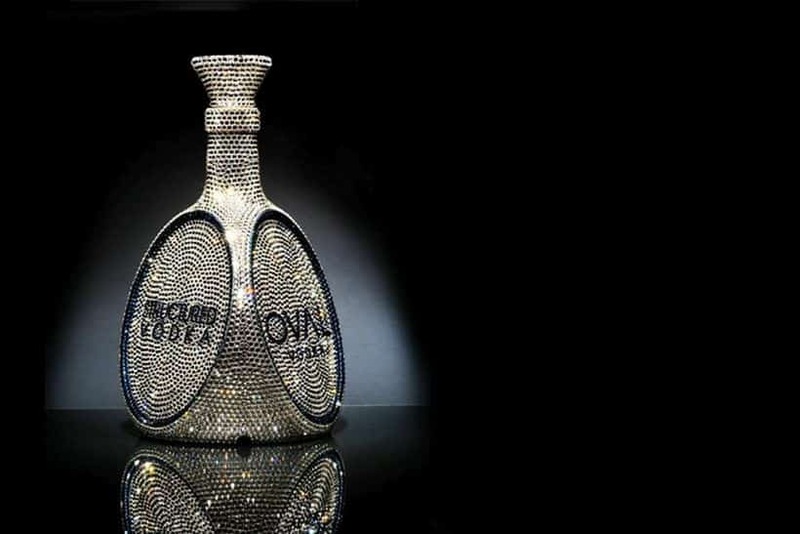 The bottle is adorned with 3,000 diamonds and Swarovski crystals as well, but those only purify some select wallets, because the price for one of those bottles is a whooping $3.7 million. 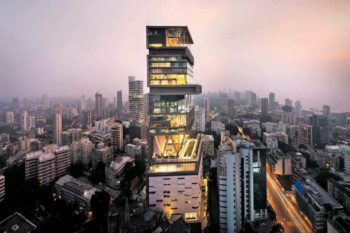 But when you buy one, you also receive the Billionaires Card concierge which gives you access to the most exclusive liquors, personal shopping services and some of the most exquisite products the world has to offer. In translation, more wallet purifying.